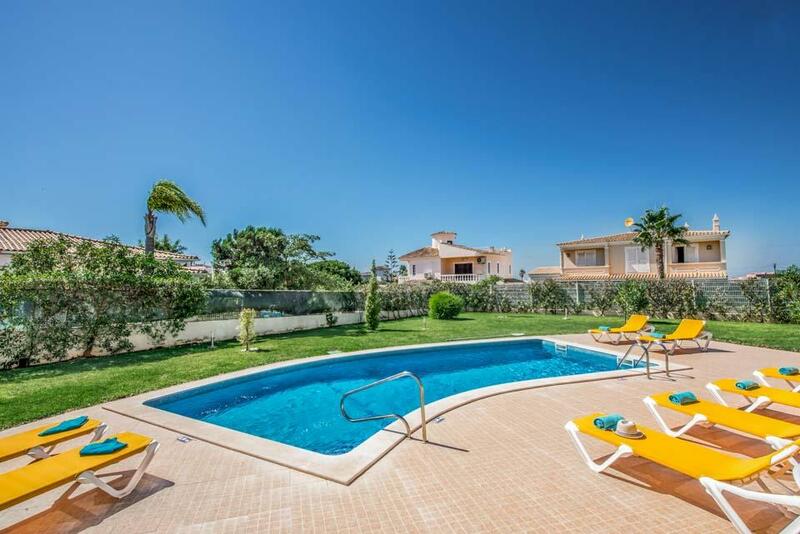 Villa Vega is an elegant four-bedroom hideaway in the seaside resort of Gale. 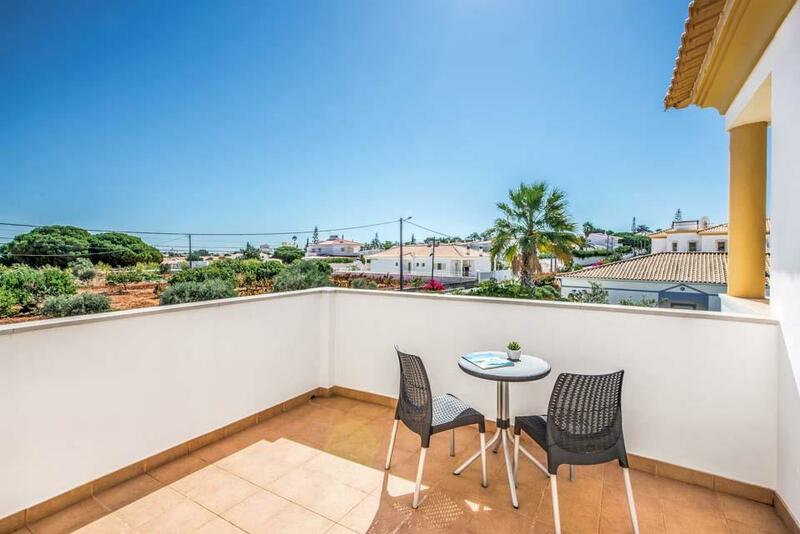 It’s superbly positioned in a tranquil area, with the old town of Albufeira close by. 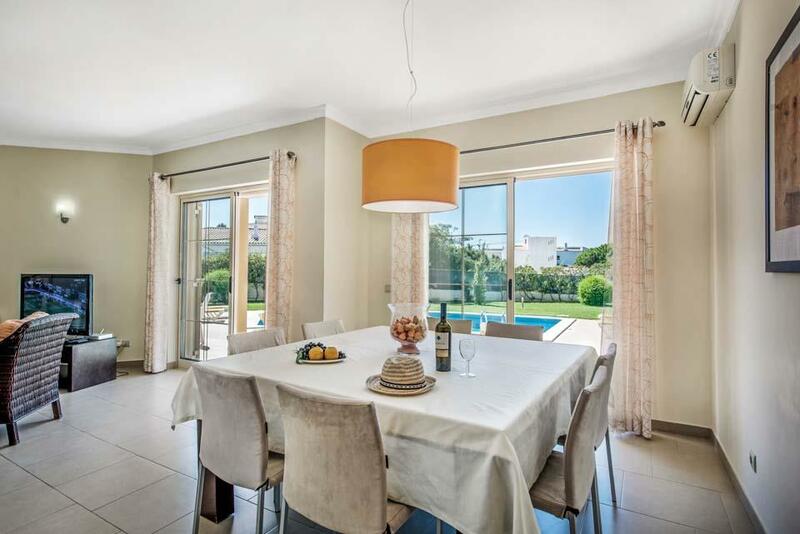 The villa opens out onto a spacious, manicured lawn and gorgeous swimming pool. Sun loungers and a poolside table and chairs offer total relaxation under the clear blue skies of The Algarve. Lots of floor to ceiling windows and light décor offer a breezy feel to Villa Vega. 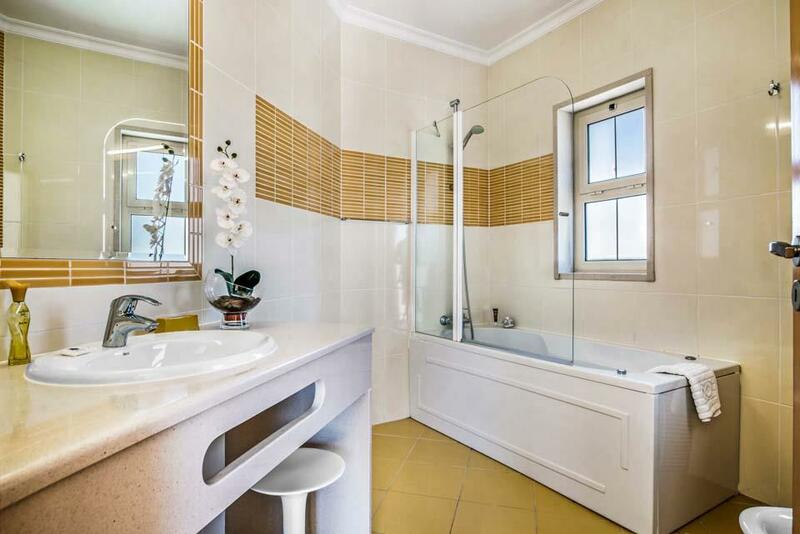 Immaculately presented, with sunny highlights throughout, it has a relaxing vibe. 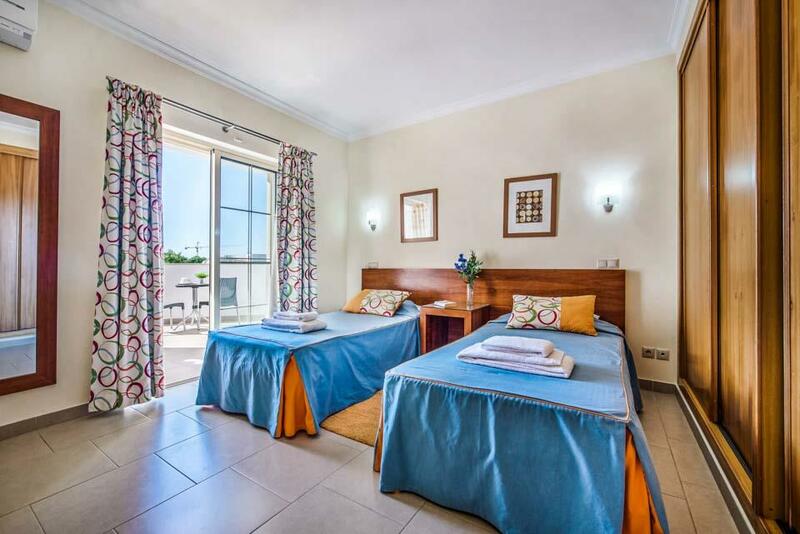 Of the four air-conditioned bedrooms, three are twin, superb for families, friends and children travelling together. 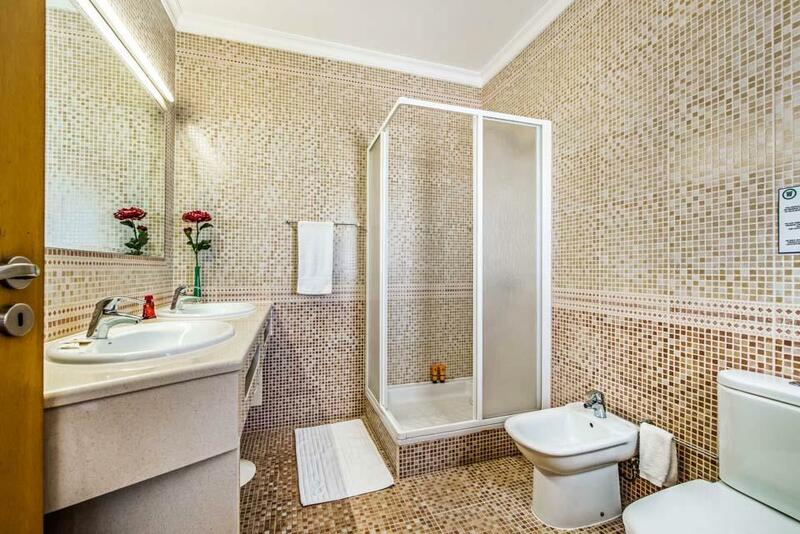 The four mosaic tiled bathrooms with showers and bath options are pristine. At night the villa takes on a whole, new vibe, with a dramatically lit turquoise pool and soft, well-appointed lighting around the villa. Great to relax with a drink and enjoy the stars. There are a good selection of local Portuguese restaurants and shops within a short stroll of the villa. Famed for its dramatic rock formations and golden sand, Praia Gale is the one of the closest beaches. Nestled against the rocky coves, this pale sand beach has lots of rock pools for the kids to explore and really fun, splashy waves. 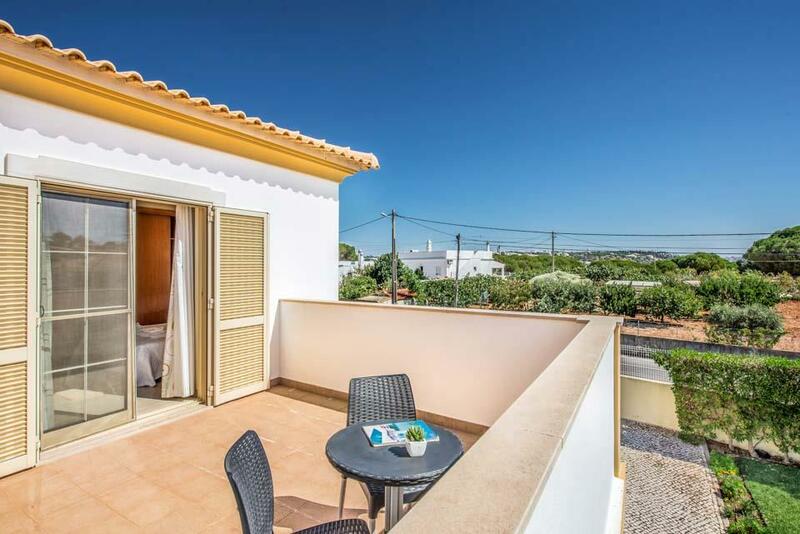 Villa Vega is over two levels, with the entirety being on a flat approach to the front door, which measures 133cm, the ground floor has no internal steps in and around this level, the ground floor level comprise of one en-suite bedroom with door widths of 83cm and 79cm respectively. The approach to the pool area includes two steps down to the this area, there is however a wheelchair ramp across the grass area to access the pool area, entry into the pool is via 3 roman style steps and includes a hand rail in the middle entry is into the shallow end which is 85cm there is also a ladder to use at the deep end which is 170cm. 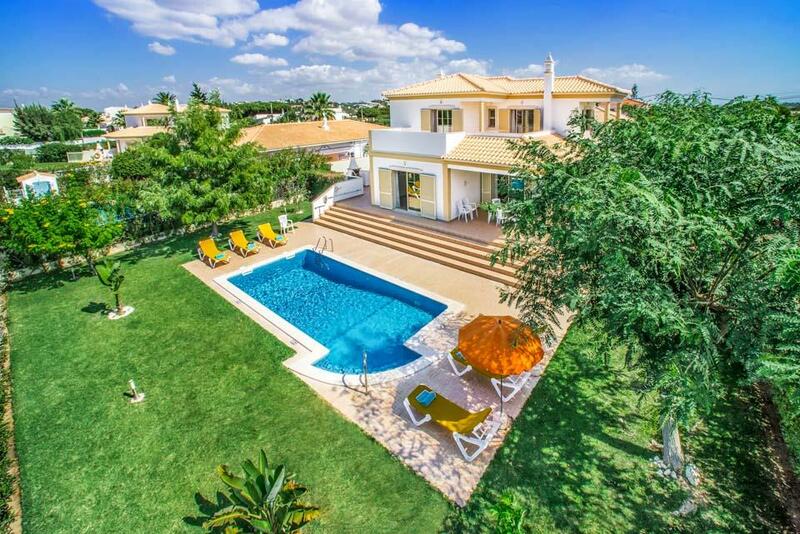 Having holidayed in the Algarve for more than 20 years this is one of the best villas that we have visited. 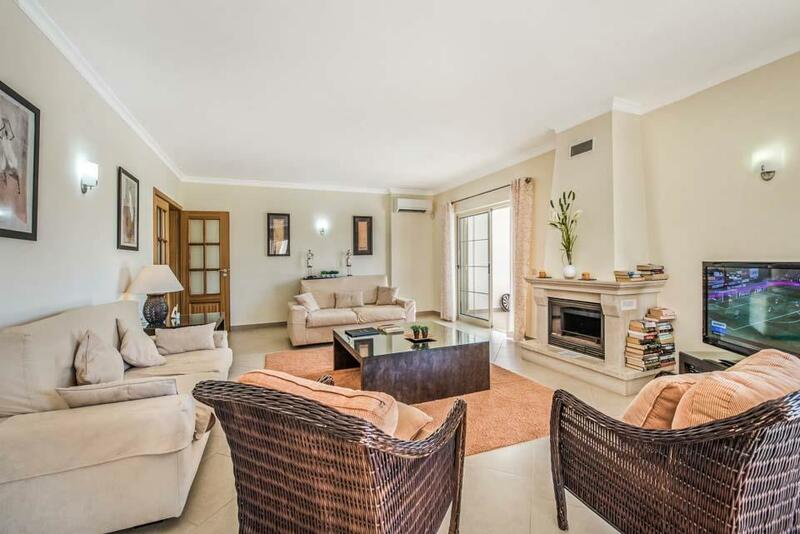 A clean and well equipped villa in a good location to suit our needs. 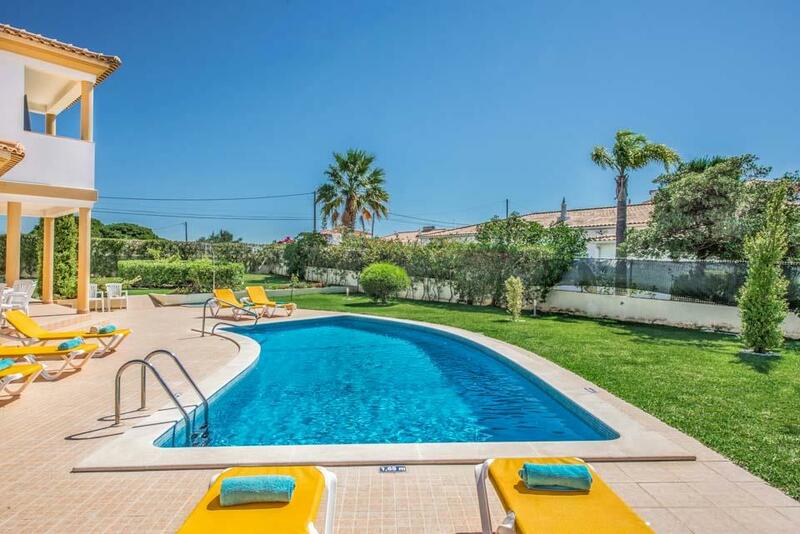 Lovely villa, quiet location, spacious and clean inside and a great pool / outside space too. A few very small improvements could be made eg no villa 'manual' provided, no ash tray for underneath the BBQ and only one chopping board in the kitchen. 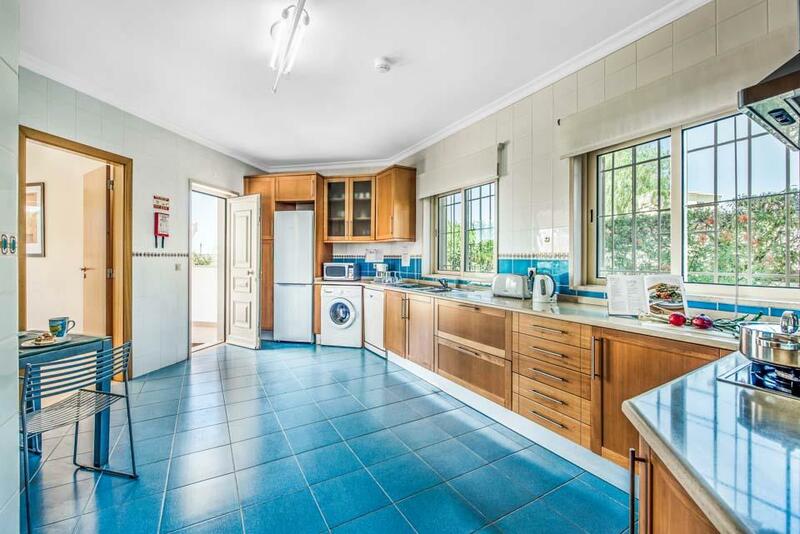 Great property, well maintained, cleaned, exceeded by far all expectations that I had. I recomend this property and I'll be back for sure! Rated: Excellent. The villa was perfect and spotlessly clean - the cleaning ladies were lovely ! Had a wonderful holiday. Rated: Excellent The villa is spacious and provides all the luxury you will need to make a fantastic holiday. 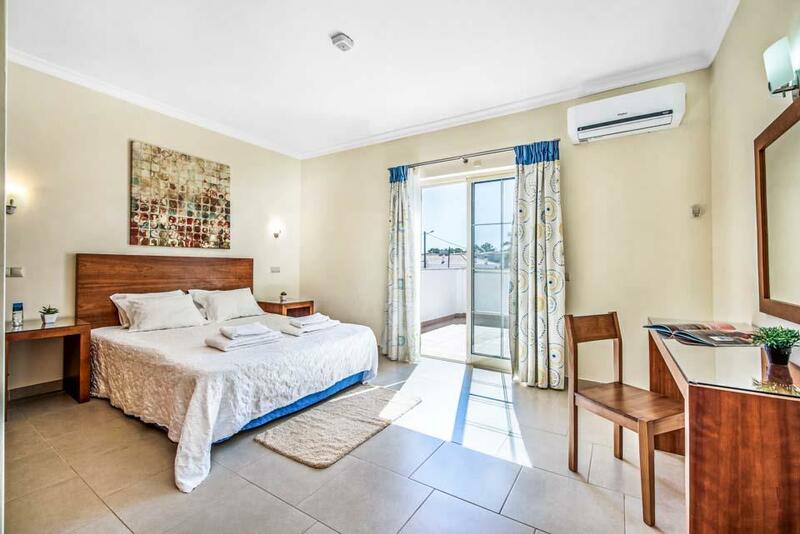 Great villa and lovely area, with fantastic restaurants and beaches, all you need for a family holiday getaway. Wonderful villa. Pool was fantastic for kids and adults . Great location as only a very short drive to some wonderful beaches . I would recommend to anyone and would probably return. This is the second year in a row we have stayed in the same villa. It had everything we could possibly want, and was spotless. 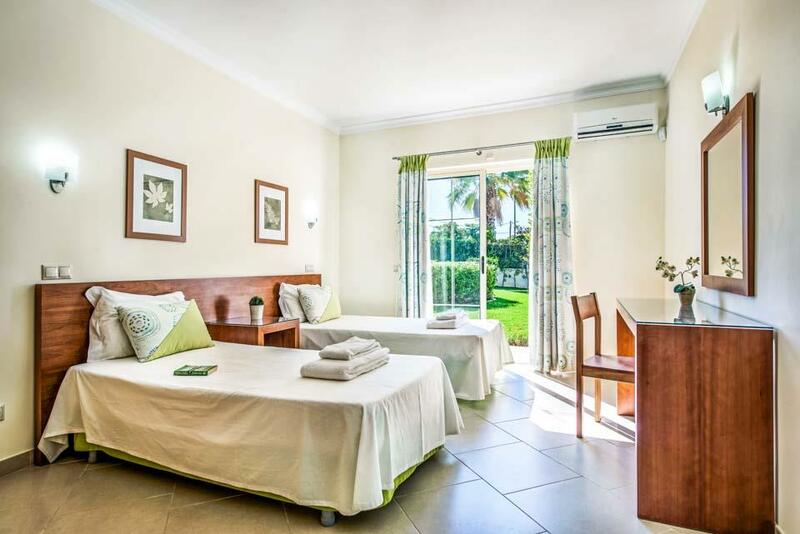 It is our third year using Solmar Villas and we will continue to do so, as we found it matched the description on the website in every aspect. Villa Vega had everything you needed . It was exceptionally clean and spacious. The kitchen had all the utensils you require for indoor or outdoor eating. Swimming towels provided and all outside sun loungers etc in clean and good working order. I have had many villa holidays , this villa is the best in every way that I have stayed at. You will definitely see us again . L.A . West Midlands. Villa Vega is extremely spacious both inside and out. 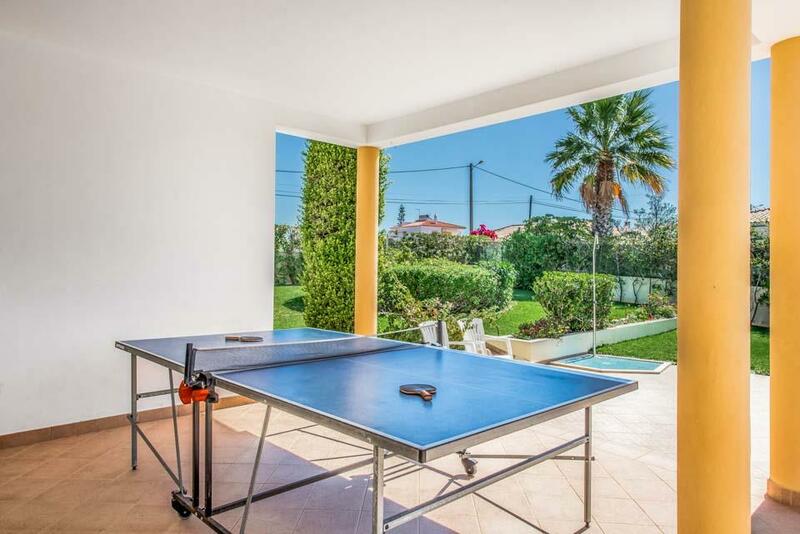 This modern villa has everything you need and is situated in a great location for restaurants/bars, supermarket and a fabulous beach. Would definitely recommend for both couples and families. The villa was wonderful, had everything we needed for our break !!! The pool was huge and the villa was exactly as pictured on the website. The villa was quiet, well equipped, and tastefully furnished. Towels were changed regularly. Only the remote controls were missing. Luckily it was not cold. Spacious, spotlessly clean . Plenty of utensils and crockery in kitchen. Rated Excellent. Could not be bettered, well equipped, clean and thrice weekly sevice of the villa more than expected. 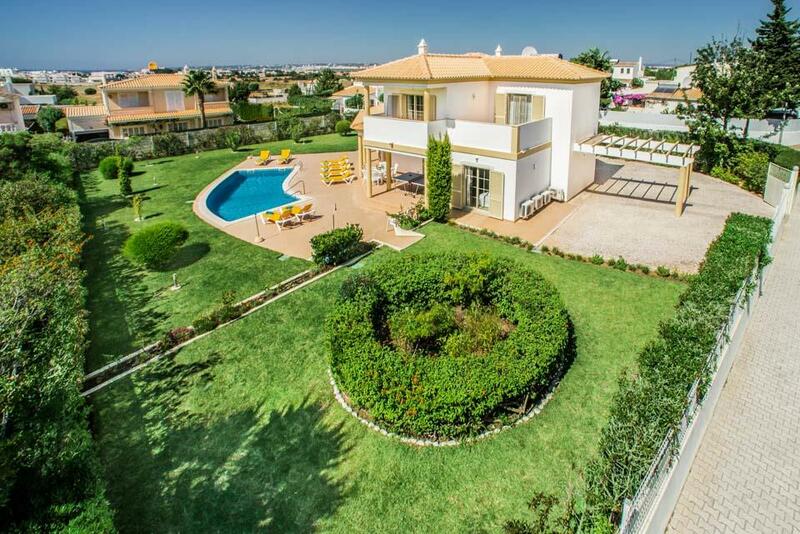 This is a fabulous villa situated in a quite residential area of Albufeira. 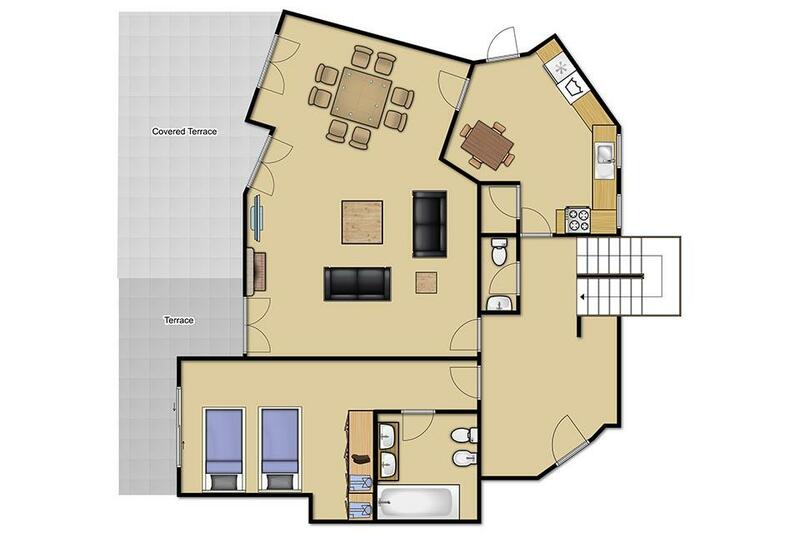 It is bright, tastefully decorated, immaculately clean, and extremely spacious. The rooms are all spacious, and even with our party of 8 people we had so much space to spread out. It caters for both adults and children. 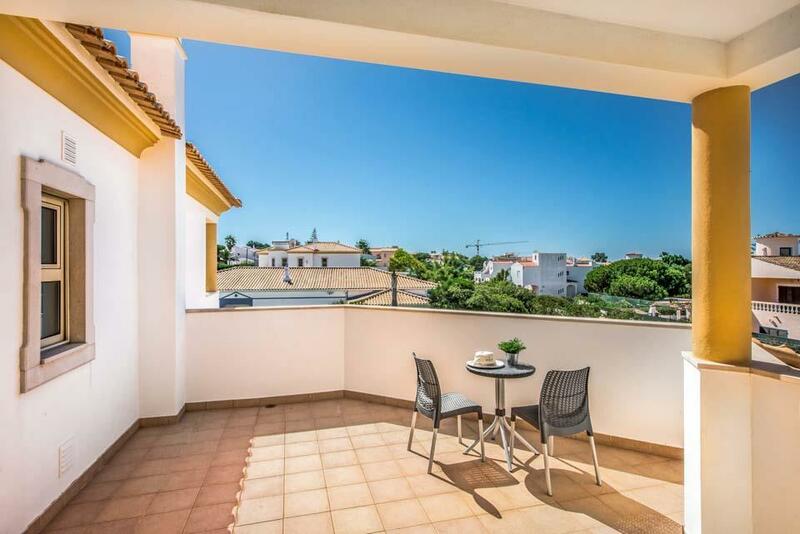 It has good WiFi, is quiet, however a 15 minute walk takes you into the town area with supermarkets, cafes and restaurants. We would not hesitate in recommending this villa and hope to return one day. 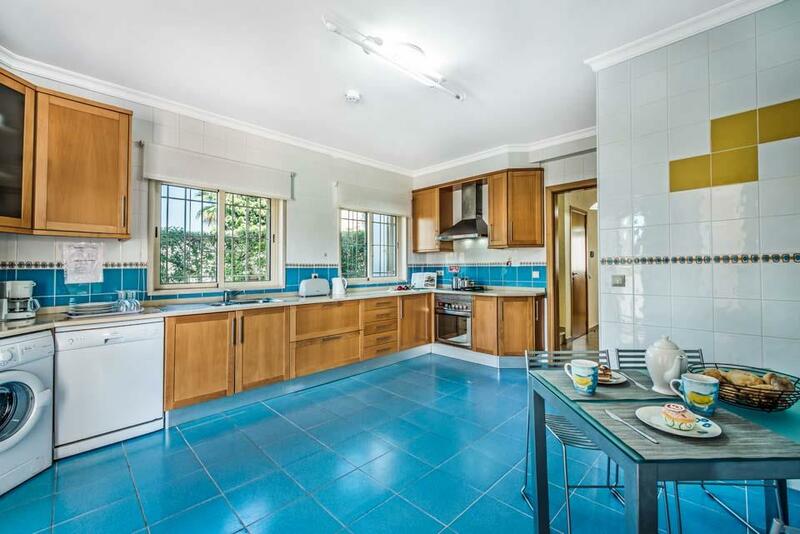 The Villa was very clean and the kitchen was very well stocked with utensils. The villa is very spacious and spotlessly clean. It is really well equipped for a self catering holiday. Vale de Parra is a quiet place and there are lots of lovely beaches within a five minute drive from the villa. There are also really nice restaurants in the vicinity. Cracking villa with great outdoor space. Not too far to the beach and in a very quiet part of the resort. Rated Excellent - This villa was the best accommodation we have ever stayed in. Spotless and very well equipped. Honestly can think of no way to improve on this villa. - Hope to return there soon. Villa Vega was an amazing place to stay in and we just loved everything about it. A short walk to the shops and beach and lots of really lovely restaurants. This is our second time in Gale, both using Solmar Villas, and it will not be our last! Thanks for a lovely holiday, Aine. The villa was just as good as the pictures on the web site suggested, brill. Hiring a car allowed us to visit interesting places and appreciate Portugal. This is our second time to villa vega but probably our last. The villa itself is fantastic. 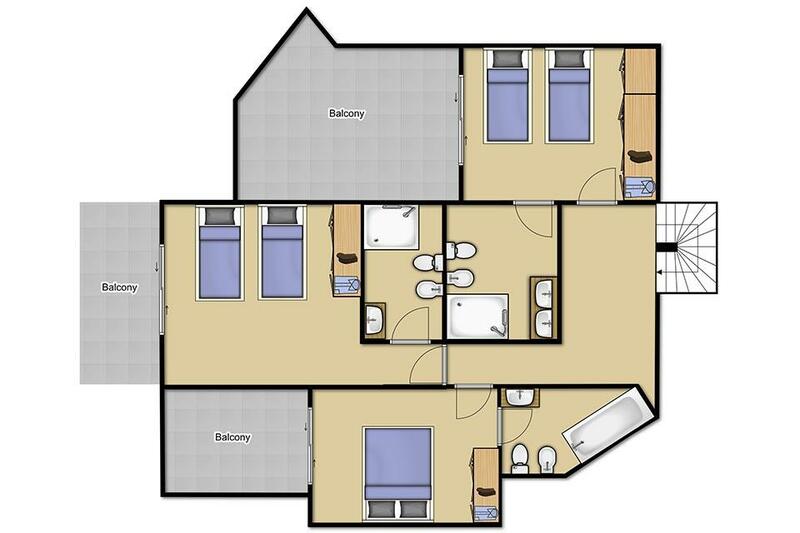 The rooms are large and laid out well. On arrival unfortunately our hot water was not working so we had to call someone. This was temporary fixed until two days later when it was fixed properly. The cleaners came in a total of three times during our two week stay but were unable to replace toilet roll. As we were here for two weeks I thought we would have been treated the same as a new guest for the second week. Towels were replaced each time although on last change forgot to replace our bath mat. 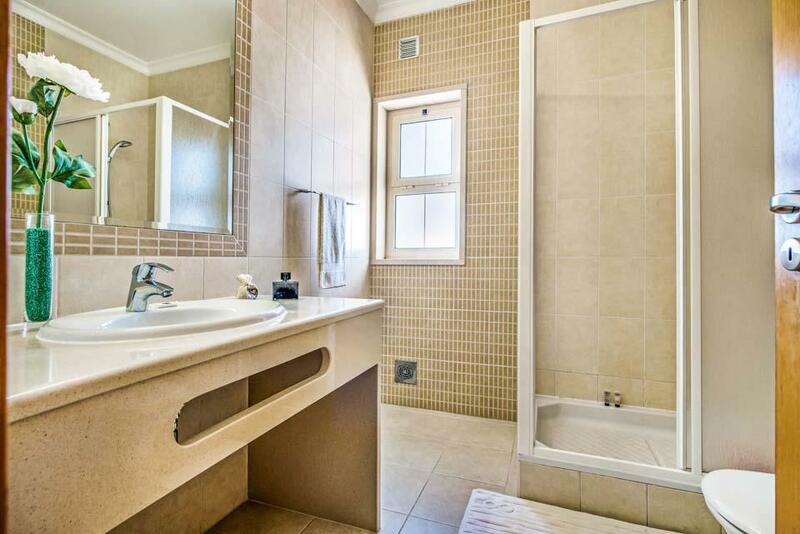 Yes you need bath mats as floor is tiled and showers can leak. The pool needed cleaning which we done ourselves. On the subject of pool this is our main reason for not returning. Because it was not heated, which we knew, we could not really use it as it was too cold. During the height of summer of course this would not be a problem. So unfortunately next time we go we will be using a company who provide free heated pools. On a more positive note Solmar villas provided an excellent service when we booked and I would use them again if I did not need a heated pool. Although the villa is situated in quite a build up area of villas you do feel not overlooked, although we were there in April so again peek season could be very different. The only noise we had were the usual Portuguese barking dogs and a cockerel! Yes, he nearly landed up on my dinner plate with his wake up call. I am trying to stay more positive. I abosoltulty love the villa. I would live there and then a few tweaks and it would be perfect. The villa far exceeded our expectations, spotlessly clean with all the facilities you need. We will defiantly use Solmar again. The villa was perfect and spotlessly clean - the cleaning ladies were lovely ! Had a wonderful holiday. Rated: Excellent The villa far exceeded our expectations, spotlessly clean with all the facilities you need. We will defiantly use Solmar again. 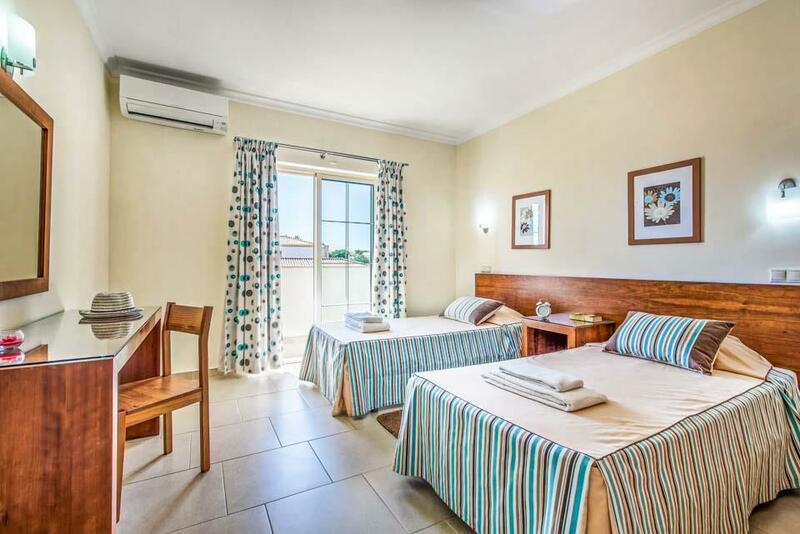 The villa is spacious and provides all the luxury you will need to make a fantastic holiday. 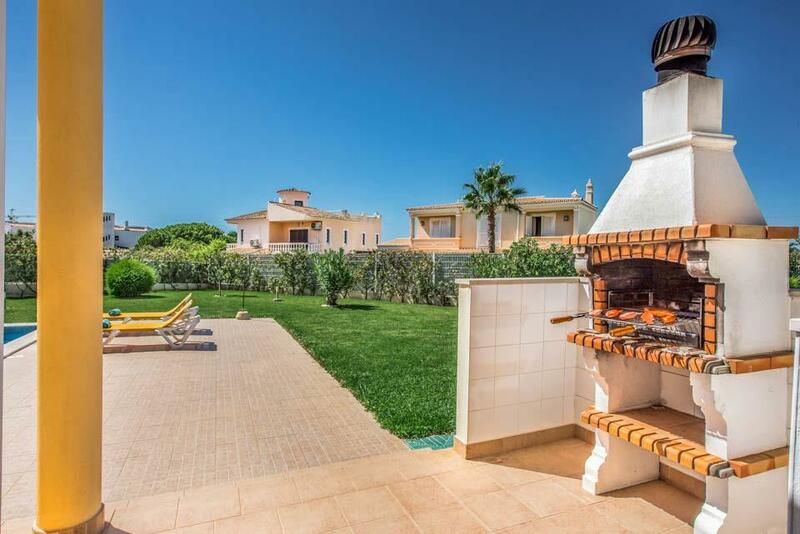 Great villa and lovely area, with fantastic restaurants and beaches, all you need for a family holiday getaway. The villa itself was immaculate. The furnishings, pool area, dining facilities were all first class and allowed a quiet, relaxing break away from hustle and bustle. The local property manageress was extremely kind, polite and efficient when we had an issue. Rated: Excellent We love the villa itself! It is the second time we stay there and we liked so much how big is the garden. The best for us is the excellent service and assistance given by the local contacts to resolve any kind of problem. Rated: Excellent The villa itself was immaculate. The furnishings, pool area, dining facilities were all first class and allowed a quiet, relaxing break away from hustle and bustle. The local property manageress was extremely kind, polite and efficient when we had an issue with an AC unit - ensuring that HVAC techs attended the next day to install a new unit. Maid service came twice in the week that we were there - but not required. The pool was also cleaned and water tested which gave showed a high level of efficiency by the owners / property manager. We had a great holiday and would liked to have stayed longer. Villa was in a peaceful location, Gale is very quiet. The villa itself was beautiful as were the gardens, and inside was very well equipped. 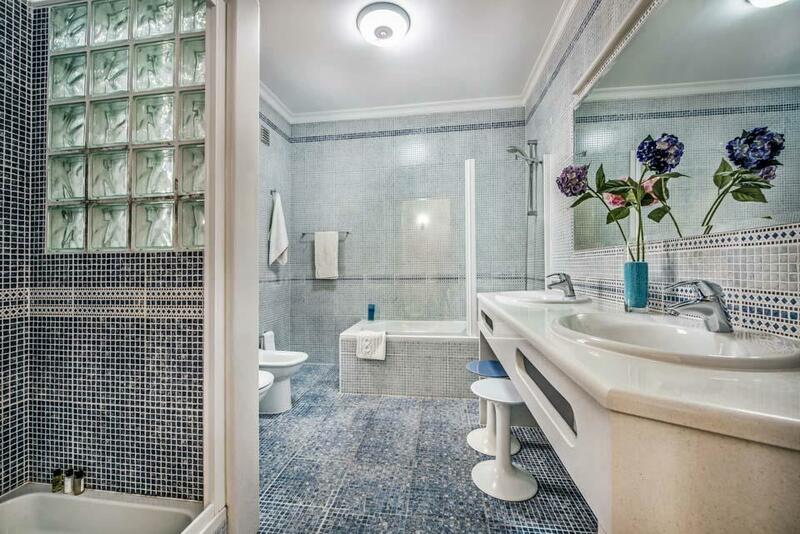 The villa was regularly cleaned with regular towel changes so we had no complaints there. 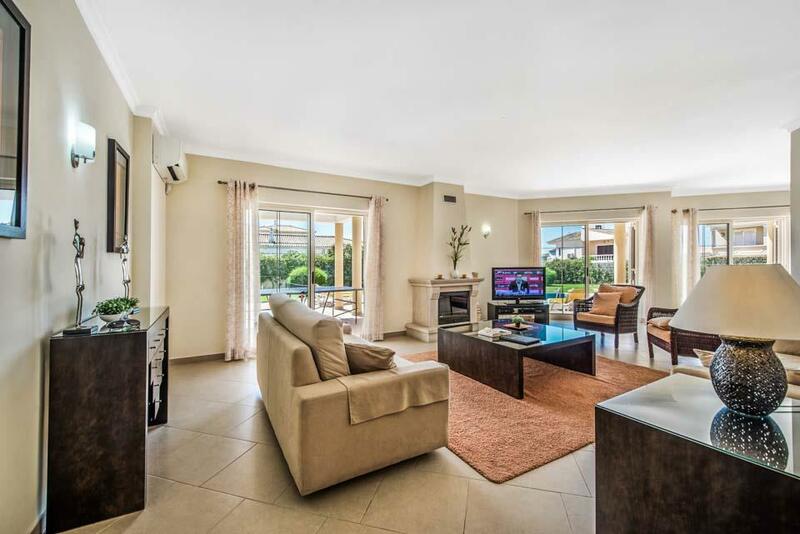 Rated Excellent - Our family really enjoyed staying at this clean, spacious, modern villa. It had all mod cons and was well looked after. It is situated in a quiet part of town which was nice. I'd rate my overall experience for this villa as: Excellent Clean, well equipped villa. The Villa was absolutely fantastic, everything you could want it was like home from home. We have been to Gale before and loved the peace and quiet, walks along the beach. The weather was great, all in all a perfect holiday enjoyed by my husband and myself, can't wait to come back. We had a beautiful time in Algarve and we really enjoyed our stay at the Villa. This villa is wonderful and surpasses all expectations. We are satisfied with all services, especially that you took care of our small requests. We had a wonderful time, the villa was very clean and pleasant. The garden was beautiful and everything was very well treated. Everything was excellent and we hope that we can book more Solmar Villas in the future!